Elizabeth Cohen is an American television news journalist for CNN. 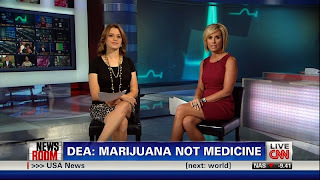 She is the channel's senior medical correspondent and appears on American Morning. Fredricka Whitfield is a news anchor for CNN/U.S. Based in the network's world headquarters in Atlanta, Whitfield anchors the weekend edition of CNN Newsroom. Whitfield also works as a correspondent for the network, reporting on breaking news events worldwide.